Welcome to Day #7 of Cocoa Nibs Theme Week. 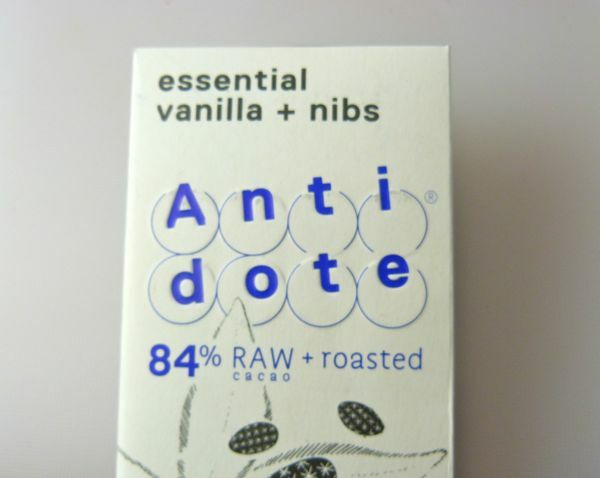 Today's essential vanilla + nibs bar from Antidote (Brooklyn, NY) was made with a combination of raw and roasted organic "Arriba" cacao beans, from Camino Verde*, Ecuador. Antidote offers a line of 50% raw + 50% roasted cacao bars, and 100% raw bars, that are produced in Ecuador. The aroma of this vanilla + nib bar was smoky, floral and complex. 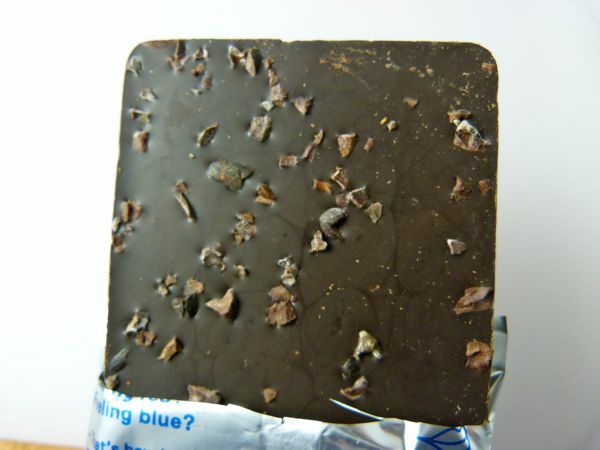 There was a slight powdery quality to the melt, and some nice, soft crunchiness from the nibs pressed into the back of the bar. The second bite I took had fruit (pear? ), floral and nutty flavor notes that unfolded all in the same piece; and a subsequent bite had slightly more floral and "green" notes. The bar had a nice clean finish. I also liked that this 84% dark, vegan, gluten-free and kosher bar tasted "sweet" without much sugar. 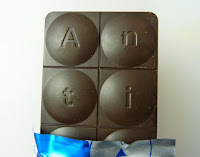 The company name, "Antidote," was spelled out as part of the bar's design—one letter in each of the 8 squares. (I love bars with letters; it makes me want to play word games with chocolate "tiles." 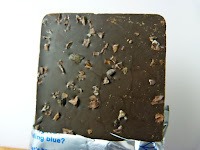 "Health through pleasure," and using chocolate as an antidote to what ails you, is part of the company's philosophy. *Camino Verde is a restored cacao plantation in Balao, Ecuador that specializes in Nacional cacao.